Not just a hostel, but a learning centre! 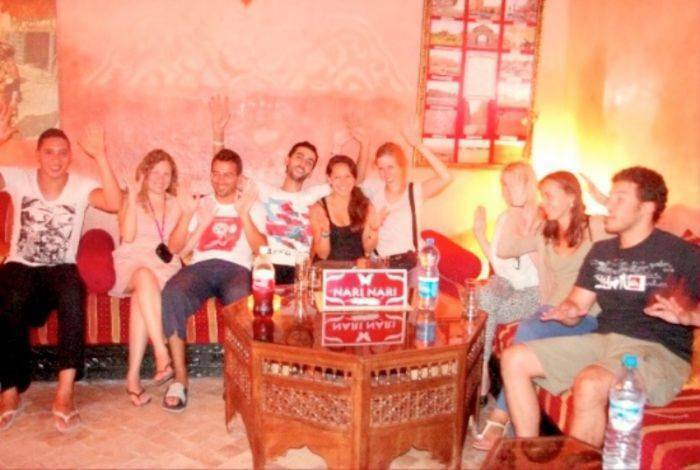 Whether you want to understand Moroccan cuisine, have an arabic lesson, practice the art of henna decoration or just relax with a shisha pipe in one hand and a glass of tea in the other - Nari-Nari may just be the place for you! 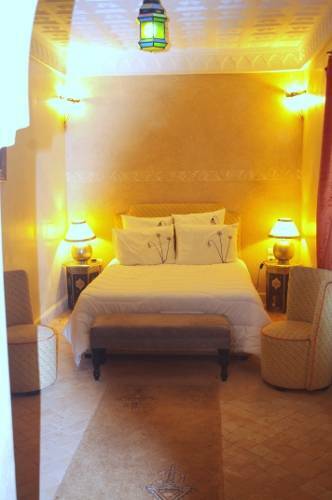 With 7 rooms - all ensuite and tranquil decoration, you have enjoy the calm amidst the storm of the ancient Marrakech medina in an area where history and arab/african culture is abundant and colourful. We have 2 stripy Moroccan salons - perfect for some wi-fi time (which is free and flowing like the tea) and a courtyard, along with a large private roof terrace - perfect for some sunset yoga. Or perfect for doing very little - just take in your crazy day in the souqs and relax. Meet other travellers - not just at Nari-Nari, but from other hostels too with our film and buffet nights. It is your choice - a truly social place or a truly private place. Your travelling experience is yours - we can help you though to experience the most fabulous travelling experience that you could only dream of. 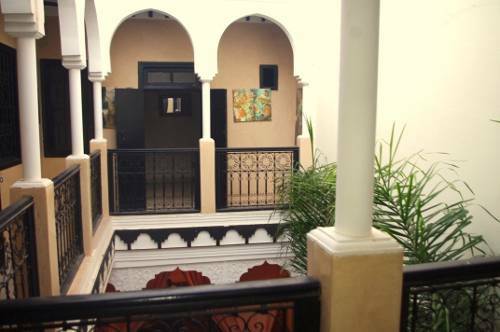 For that reason - Riad Nari-Nari could be a perfect base for those bohemian dreamers needing a break from the rat-race. Book that flight ! 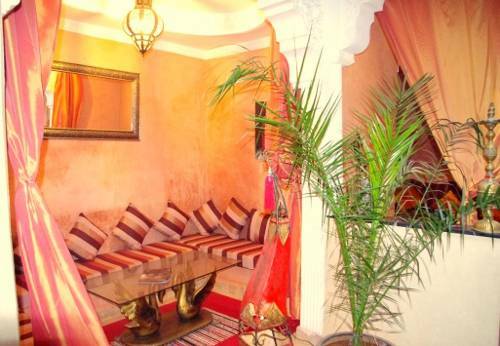 Riad Zitoun is a historical part of the Marrakech Medina. Within 1 minute from the ancient palace Palais Bahia and a couple of minutes from Palais Badi and the Saadien Tombs. 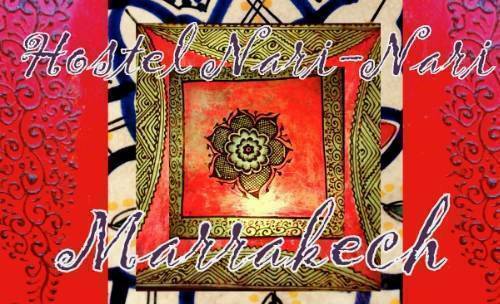 Nari-Nari is a couple of minutes from the famous main square Place D'Jeema el Fna. 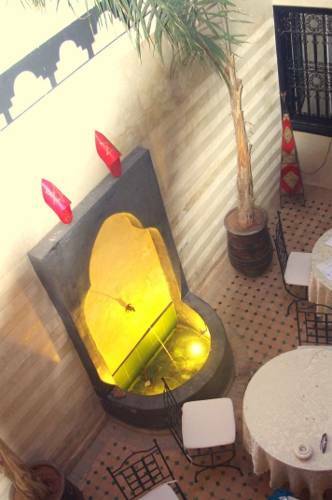 You will be right next to the Jewish quarter - The Mellah with its spice and jewellery markets, and next to the Mellah is the royal area of the Kasbah - great for street food! You are facing Cafe de France. On your left is a small newspaper stand. Take this street and go straight on. The street bears right. Follow this street. Continue straight on - you are on Rue Zitoun el Jdid - it is a market street. Continue straight on for a bit and you will eventually see a large post office on your right. Directly after this there is a carpark. Opposite the carpark on your left is a large archway. Walk down this archway - you are now on Rue Bahia. It is a completely straight road. Continue down and almost at the end on your left is No. 51 - there is a sign with a butterfly.